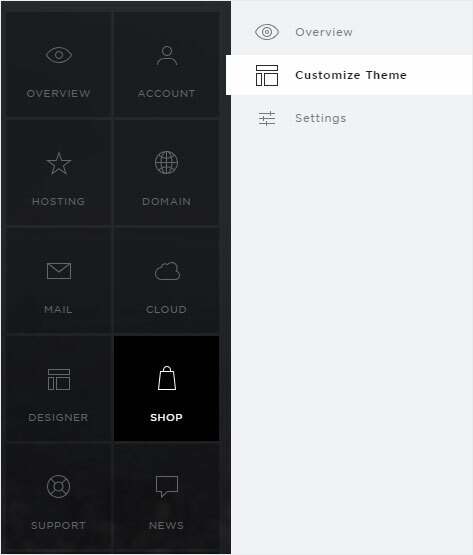 Click on the menu item «Shop» and then on «Customize Theme». You are automatically redirected to the display page. 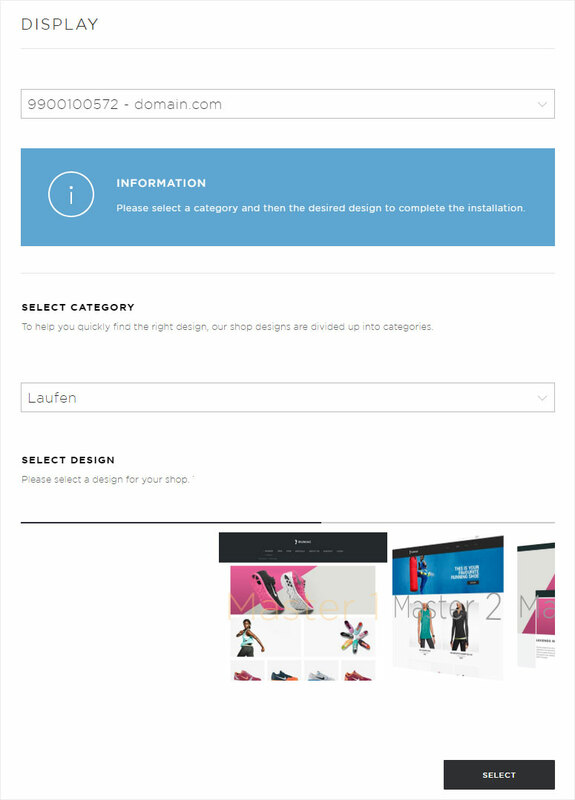 If you have not yet selected a design and the installation has not yet been completed, an information area appears here. 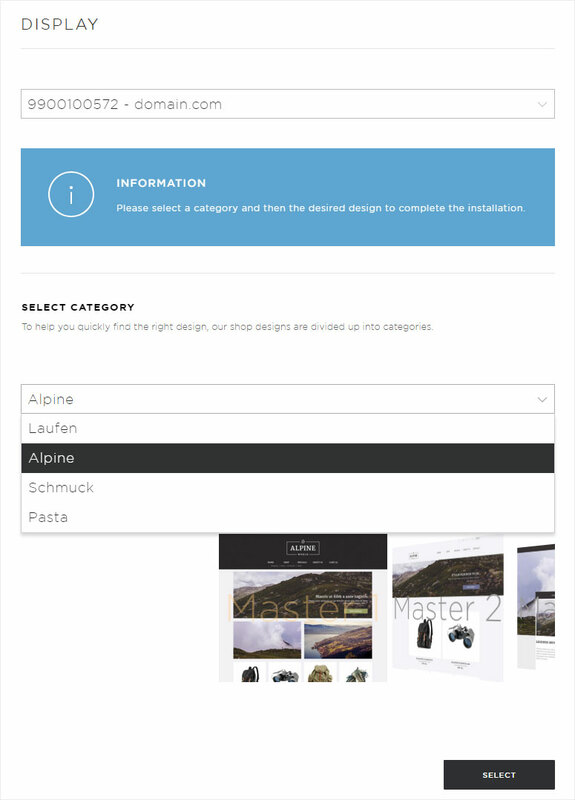 Below you can «Select category» and «Select design». Select the desired or suitable category from the corresponding drop-down menu. According to the chosen category you can choose from various designs. By clicking on the individual designs or by dragging with the mouse, you can view the corresponding variants. Once you have made your choice, your design should be frontal and not tilted. Then click on «Select». A pop-up window opens. 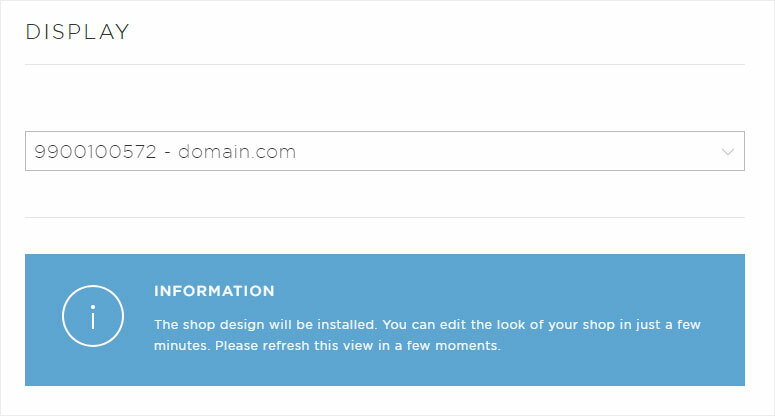 To install the selected design on your shop, click «Next». 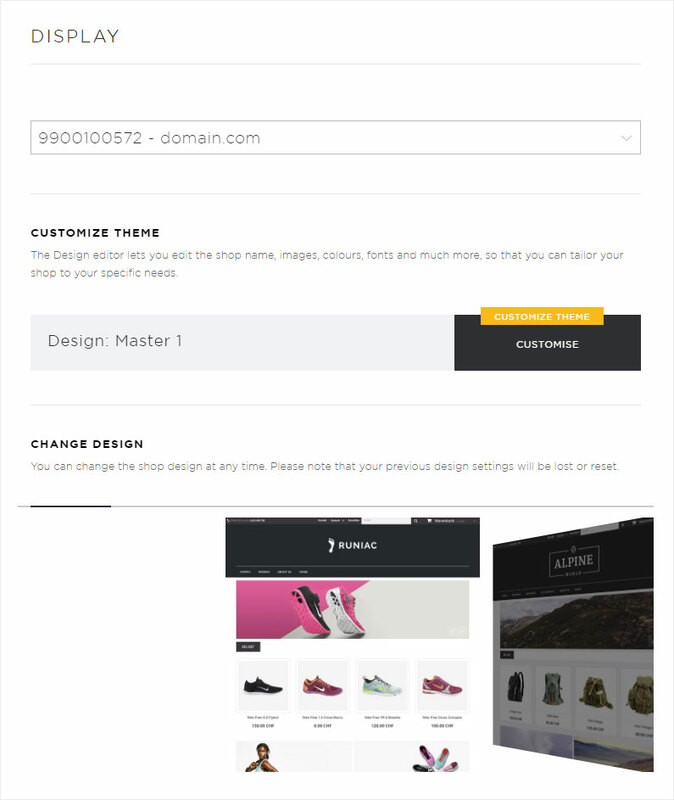 The design is saved and you are automatically directed to the overview page. Here you are shown the information that it can take a few minutes until the design is installed on your shop. Refresh the view. 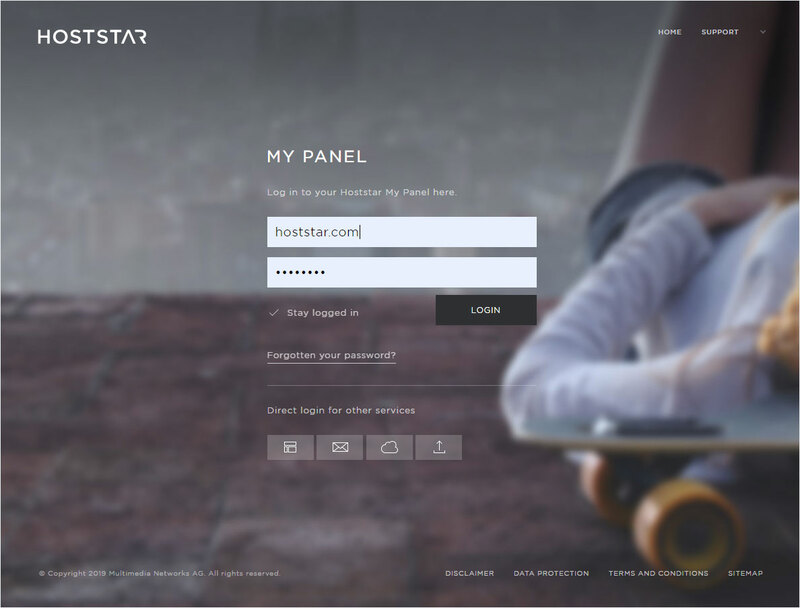 You can now «customize your chosen design» here at any time. If you have not yet entered any products, you can also «select» a new design without difficulty.